The Norfolk Militia was formed under the Militia Act of 1757, replacing earlier less formal arrangements. From this date, better records were kept, and the men were selected by ballot to serve for longer periods. Proper uniforms and better weapons were provided, and the force was 'embodied' from time to time for training sessions. In 1758 the Earl of Orford put the "Act for the better regulating of the Militia" into execution. This set the number of men to serve in the militia in Norfolk at 960, with the city of Norwich providing 151. The Norfolk Militia was divided into the 1st Battalion Western Regiment of the Norfolk Militia (West Norfolk Militia) and the 2nd Battalion Eastern Regiment of the Norfolk Militia (East Norfolk Militia). Between 1797 and 1798 there was also a 3rd Battalion of the Norfolk Militia, but this was not re-raised in 1803. The East Norfolk Militia was, jointly with the West Norfolk, the first regiment formed under the Bill of 1757, and was also recognised as the first to offer to "march wherever they might be most serviceable to the public defence." Consideration was given by King George II "that every mark of his Royal Favour should be shown to this Corps" and that they "should be distinguished by the title of Militia Royal". 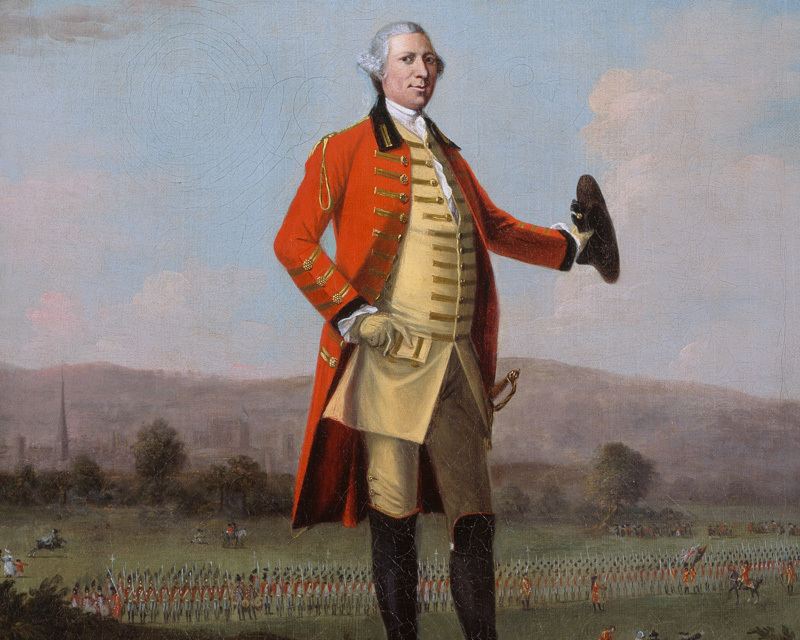 The ENM did good service during the 7 years war, and garrisoned fortifications in the UK to release troops to go abroad during the American Revolutionary war. The Norfolk Militia drill manual was published in Britain for the use of other Militia groups learning to drill troops from scratch. This training manual was enthusiastially adopted by the American revolutionaries for training their troops, arguably the biggest role that the Militia played during the American Revolutionary war. The Militia was called out for the French revolution and served through the Napoleonic wars. After the Napoleonic wars the Militia was reduced back to it's part time role with the reduction in forces, and was eventually reformed into an artillery milita in the mid 19th century, before being absorbed into the Norfolk Regiment, now part of the Royal Anglian Regiment. The modern East Norfolk Milita re-enactment group was formed in 2000 to represent the parishes of Norfolk for an event called "the Return of Nelson" in 2000, for the 200th anniversary of the famous and victorious hero landing in Great Yarmouth. It was felt that it would be a shame to just disband so the unit supported the celebration of Nelson's death and the bicentennial of Trafalgar in 2005. We continued to turn out for several, yearly events, such as Trafalgar Day at the Nelson Monument and the Great Yarmouth Maritime Festival. From this, the unit got some offers of work for fetes, carnivals and living history events and has continued to grow from strength to strength. We welcome interest from people interested in joining the group. We are a friendly crowd, and the group provides uniform and equipment to you on a loan basis. This is paid for by ploughing all of the monies we get paid for attendance at events back into equipment after costs such as insurance cover and gunpowder is paid for. Nobody in the unit gets paid for attendance. We also welcome interest in hiring the group for your event. We are adaptable to your needs, and can offer a variety of services. Individuals can be booked at appropriate times to do talks on the Militia and all things Napoleonic, and the group can provide a variety of services. From simple ceremonial attendance at parades or product launches to occupy a crowd with marching, drill and firing displays we can meet almost any needs. We can put on a number of semi scripted plays depicting the events of two hundred years ago and can stage mock battles, as well as staging a napoleonic era campsite. If we are booked for your event we are also happy to help you find other suitable groups for your needs.Individuals can also be booked at appropriate times to do talks on the Militia and all things Napoleonic.